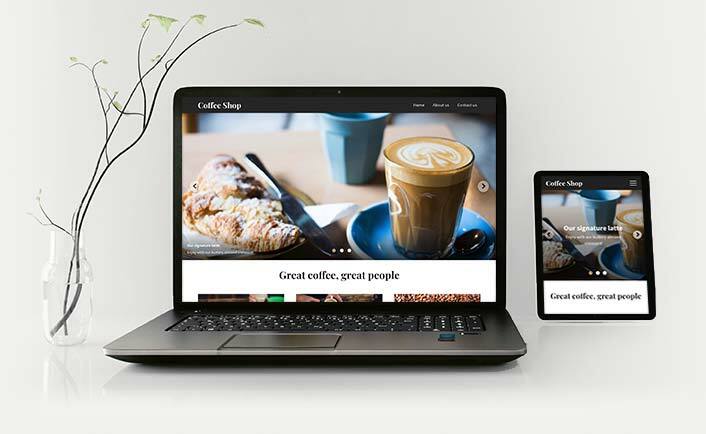 Create a sleek and professional website for yourself or your business with no coding required. With Name.com’s Website Builder, you can easily build a custom website by using our selection of mobile-friendly designs, library of images, and eCommerce tools. Cheap eCommerce, blog, and portfolio website builder plans for a do-it-yourself website. Simplicity: Preset styles make it easy to create a well designed website. Flexibility: Our Website Builder can scale to your needs, whether it’s a one page personal website or a 100-page online store. Affordability: Our monthly and yearly plans are a cheap option for websites of all sizes. Well-designed, professional presets create a great foundation. An intuitive interface makes it easy to add, rearrange, and remove content. Mobile-friendly designs, built to the latest HTML5 standards. Add, delete, or rearrange content anywhere on the page. You decide the placement of photos, videos, text, and other site elements. Choose a color scheme you like and make it your own by adding your brand’s logos, photos, and information. Make changes to your website no matter where you are. Website Builder can be used on a range of mobile devices, so you can edit your site on the go. Build the best website possible with our easy to use site builder. A website builder is an online tool that allows users to create functional, well-designed websites without having to know how to code. Use the user-friendly interface to start a website for your small business or for personal use. Do I need to purchase a separate Web Hosting plan? Nope! Hosting is included in all of our Website Builder plans, so you can quickly and easily get your site off the ground. It’s everything you need to create a professional website, all in one place. That’s up to you—choose from an extensive library of pre-set color schemes that can be customized with your choice of logo, photos, videos, and more. Yes! Even if you’ve already added images and text to your website, you can change the design at any time. You may need to adjust some content to fit the new format, but it’s easy to do and you’ll retain any content you already have on your site. What features do I need for an eCommerce site?